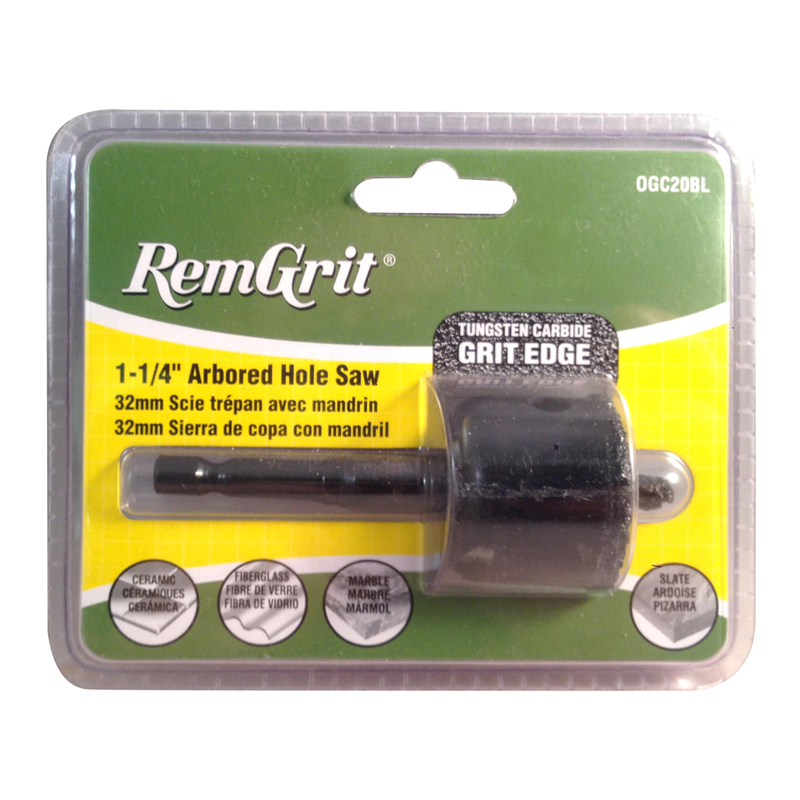 RemGrit® Carbide Grit Arbored Hole Saws cut extremely hard abrasive materials including laminates, fiberglass, ceramic tile, marble, slate, cast iron and composites. Features a continuous grit edge of tungsten carbide particles bonded to alloy steel back. Ideal for plumbing, construction, marine and aircraft applications. For cutting extremely hard abrasive materials including laminates, fiberglass, ceramic tile, marble, slate, cast iron and composites. Continuous grit edge of tungsten carbide particles bonded to alloy steel back. 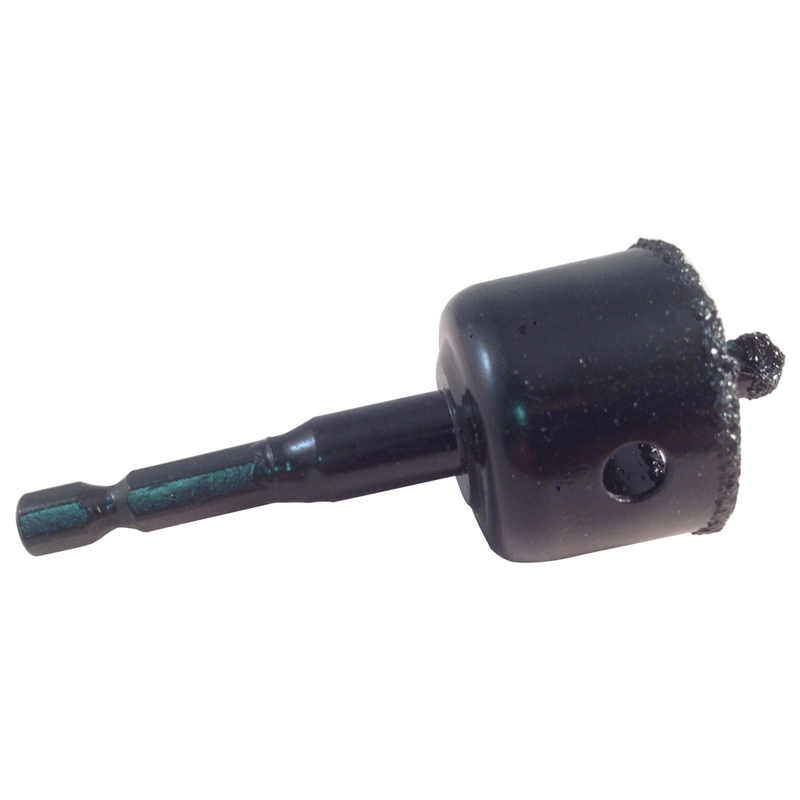 Ideal for plumbing, construction, marine and aircraft applications.